As with most things I do, I’ve primarily done this for my own enjoyment, since I’ve been wanting to take a “hard copy” of the stuff I’ve written for some time now, but I’ve already had a couple of people express an interest in collecting some of my stuff together in more “permanent” form, too. I’ve been experimenting with various different ways to handle this, and I think the approach I’ve taken here is the most practical solution for right now while this is still largely a “hobby” rather than a full-time occupation! To put the book together, I made use of a site called Blurb, who have an excellent tool called BookWright that helps you to lay things out appropriately and ensure everything will print nicely. 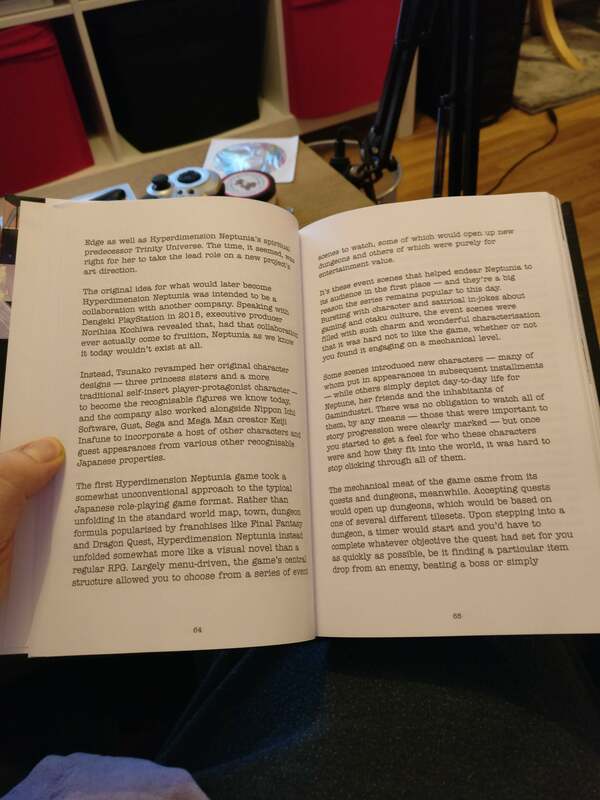 They’re not the cheapest way to produce self-published books, but they do good quality products and I’ve been extremely happy with the results on past occasions where I’ve used them. So that’s what we have here. 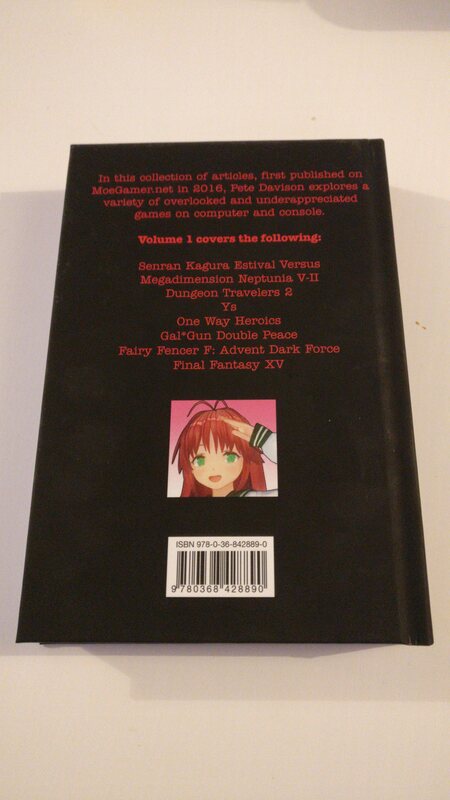 The hardback variant is an “imagewrap” cover, where the cover art and text is printed directly on the cover, and the cover itself is a pleasingly smooth matt finish. (The black is a little prone to showing up fingerprints when you first handle it, but this seems to become less of an issue over time!) The softback variant has a more glossy cover. 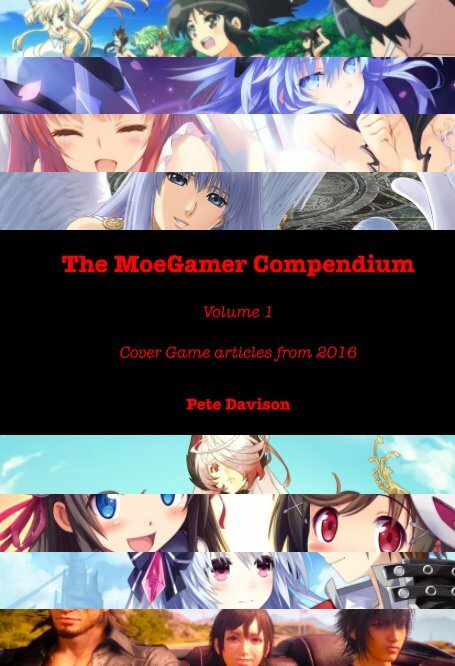 Here’s the front cover, highlighting the games that are covered in this volume: Senran Kagura Estival Versus, Megadimension Neptunia V-II, Dungeon Travelers 2, Ys, One Way Heroics, Gal*Gun Double Peace, Fairy Fencer F: Advent Dark Force and Final Fantasy XV. I did not include the feature on RPG Maker MV, as that was primarily tutorial-based and image-heavy, and thus remains best enjoyed online. And the back, providing the same information in text form. Look, it has an ISBN and everything, it’s a proper book. During my experiments with book formats, I took the decision to present the articles in text-only form. 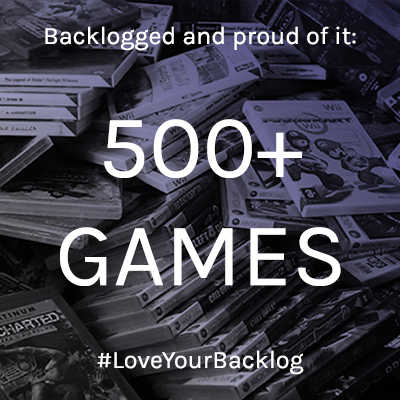 While gaming is an inherently visual medium, the important thing about what I’ve written is… well, what I’ve written rather than the images I chose to accompany the words. Going text-only also allowed me to fit a lot more in the book for less cost. 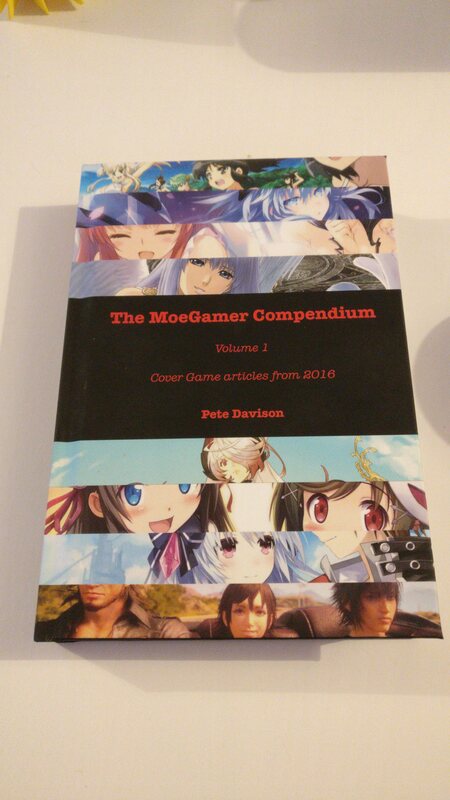 A previous experiment with making a more “picture book” format ended up costing almost as much to produce a book for a single game’s Cover Game features as it did to compile the whole year’s worth of content into a text-only book like this! That’s not to say the whole thing is completely devoid of colour, mind you. Each section begins with a nice colour page featuring some art from the game or series in question. These pages have the advantage of being clearly visible while the book is closed, so you can use them to quickly skip to a particular section if you so desire. 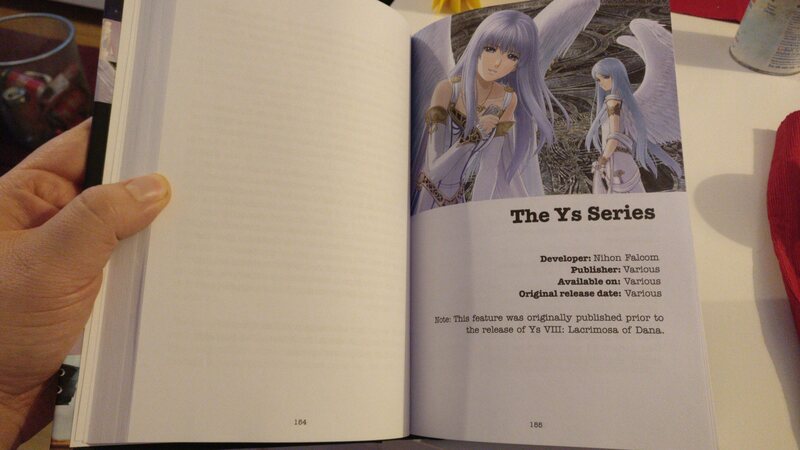 The pages are also numbered and there’s a table of contents, too, so you can quickly find the feature you want to read. Here’s another couple of pages, viewed from a different part of my living room. 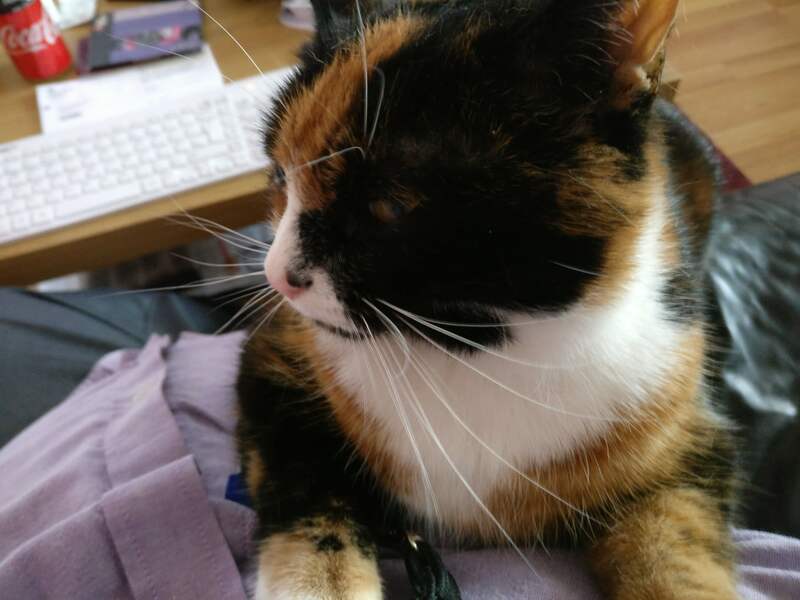 And here’s my cat Meg, who wanted a cuddle. I hear the Internet likes cats. Anyway, as I say, I’ve primarily done this so I can have my own hard copy of the stuff I’ve written over the years — and yes, I’m already working on books for the 2017 and 2018 features as well, among other things — but I wanted to make these available for anyone who fancied one for themselves. 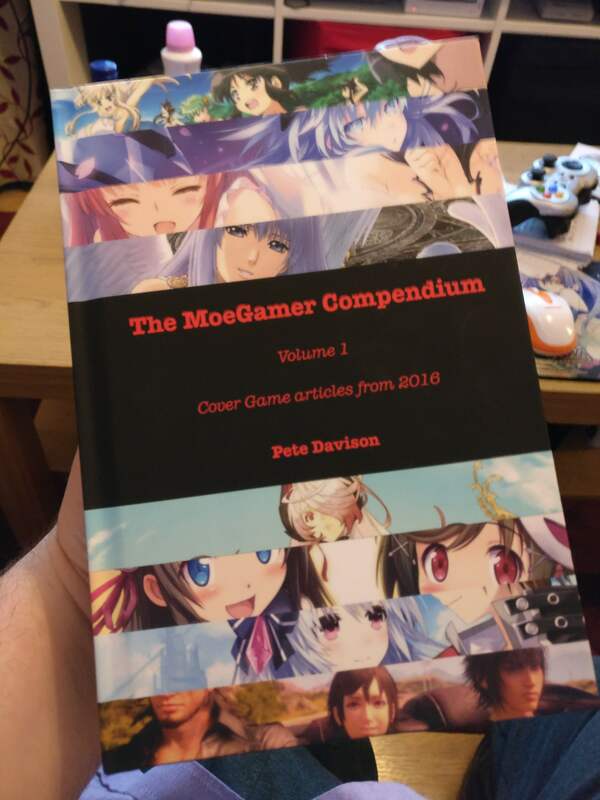 I don’t make a huge amount of profit on each copy after Blurb’s base costs, but if you wanted a way to support my work here on MoeGamer and get something tangible in exchange, well, here you go. 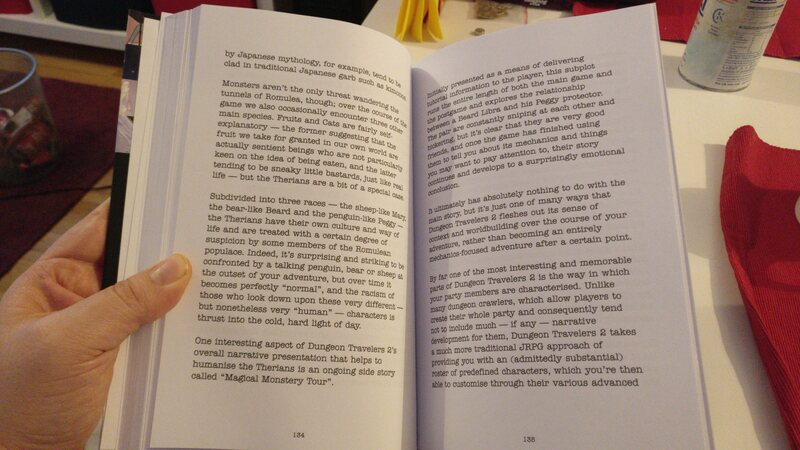 If you want to grab one for yourself, be it hardback, softback or PDF, drop by this page. Thank you in advance for your support! 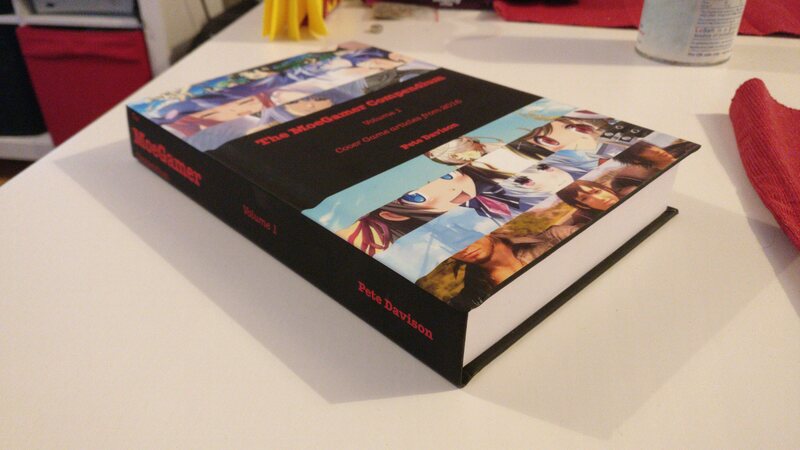 It’s a beautiful book! I’ll also have to get a copy of it soon! Also, hello to Meg. Meg is very cute!! That hardcover version looks mighty spiffy! 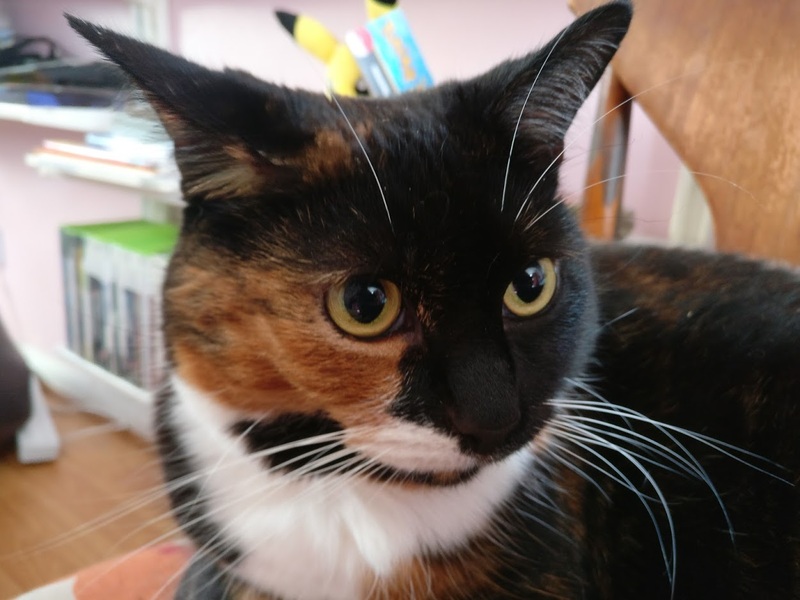 And Meg looks ready to be the book’s official spokescat.